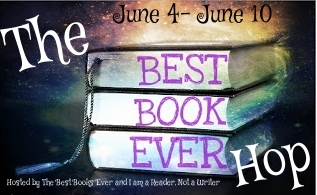 There are so many books that fit into this category, I am really excited to participate in this giveaway hop! I am going to open my giveaway to both US and INTERNATIONAL Entries. The only stipulation is, if the winner is US, they will get a copy of the book! If the winner is INTERNATIONAL they will receive a $10 Gift Card to Amazon.com. Additionally, because there is a prize being mailed, I am requiring that entrants be 18 years or older to enter. The Hunger Games. I owe it all to this book it introduces me to YA dystopians. Jane Austen Pride and Prejudice is the best book ever, no doubt!! "Along for the Ride' by Sarah Dessen is the best book ever according to me! Poison Princess by Kresley Cole! I love Pride and Prejudice. Thank you for the giveaway!! The Stand by Stephen King. Thank you for joining the BBE hop!